True HEPA Filter captures 99.97% of dust and allergens as small as .3 microns such as household dust, pet dander, mold spores and plant pollens. Charcoal filter reduces common odors from pets, smoking and cooking. 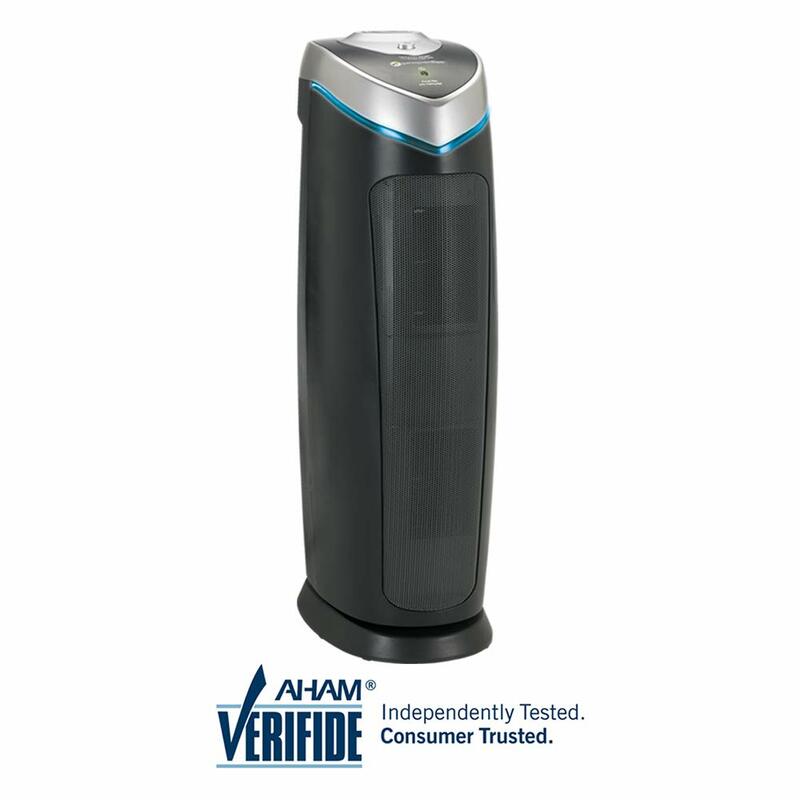 Air Purifiers with UV-C light technology work with Titanium Dioxide to kill airborne bacteria, viruses, germs and mold spores. Safety certified by Intertek which is a Nationally Recognized Testing Laboratory. Certain units might produce mechanical noise during initial set-up which will subside after regular usage. Units are constantly life tested to insure the product meets the performance and durability expectations of the consumer.